After spending a couple of weeks in Cornwall and Devon, I have had many random and wonderful experiences. So in this post I’m covering a miscellany of adventures not hitherto covered in recent posts. One can’t come to this part of the world and not fall in love with cream teas — otherwise known as scones with jam and clotted cream, with tea (or in my case, coffee). Our first cream tea was enjoyed at Charlotte’s Tea Rooms in Truro, a classy establishment with chandeliers and linen tablecloths (see picture). 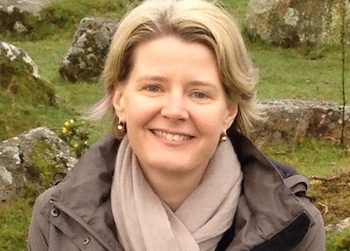 After that I was hooked, and have eaten cream teas on Dartmoor, in Appledore and the home-baked variety at my friend’s house in St Dominick. The key is the clotted cream — cream that has been heated and thickened via a unique process to produce a gooey yummy substance that smears on top of (or under, depending where you’re from) the jam on the scone. The scones vary considerably from tearoom to tearoom too. All are delicious. 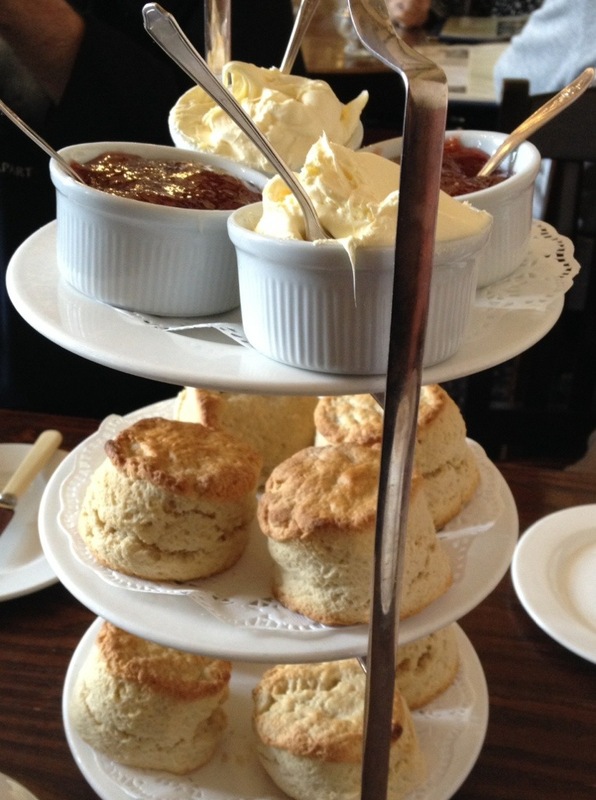 Long live the cream tea! We stayed just outside the Cornish stannery (tin mining) town of Bodmin for a week, although didn’t spend a lot of time in the town. We did, however, visit the town’s one main attraction, which was the old gaol, the site of numerous hangings in the region. The gaol is laid out as something like a chamber of horrors, with macabre mannequins reenacting the various crimes. 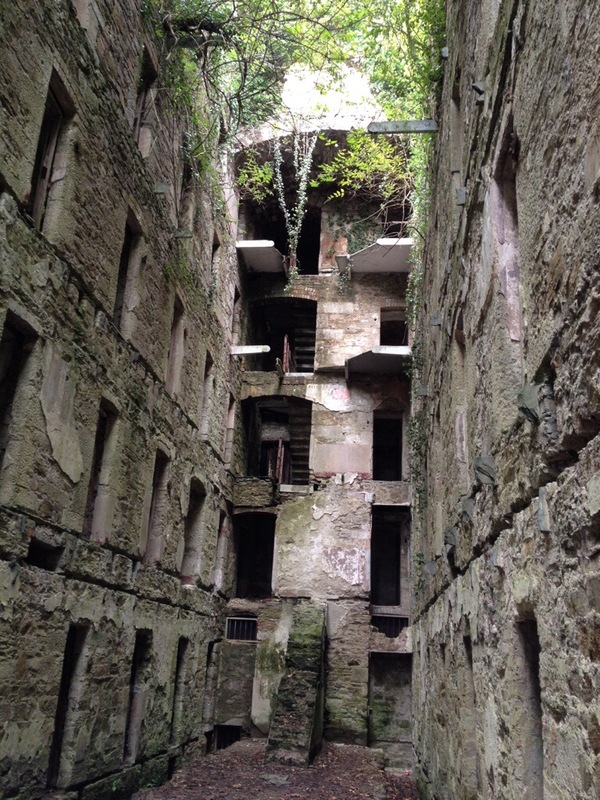 Much of the building is a ruin — my favourite part! In search of a ‘light’ day of touring, we visited the near-to-Bodmin fishing village of Fowey for a ramble about its cobbled streets and lunch in one of its quaint pubs. 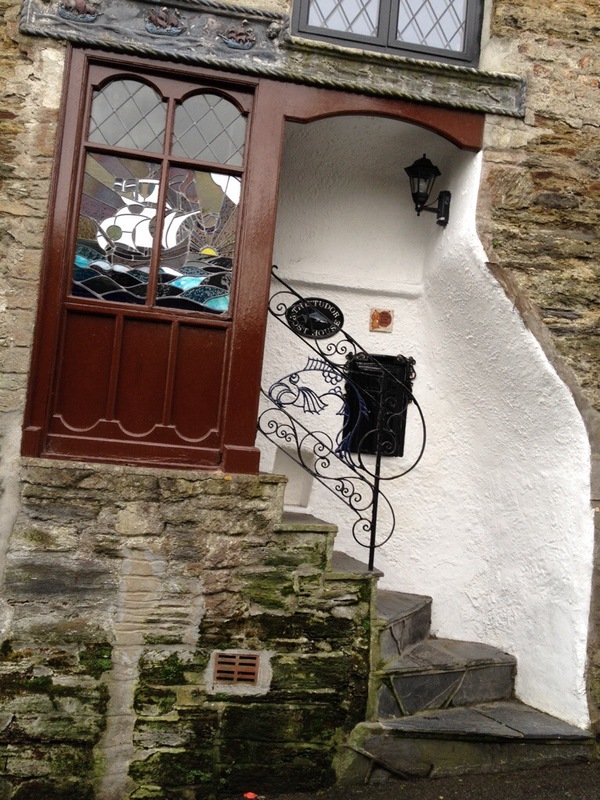 Also, as with many old English villages, Fowey has rows upon rows of interesting doors directly onto streets. 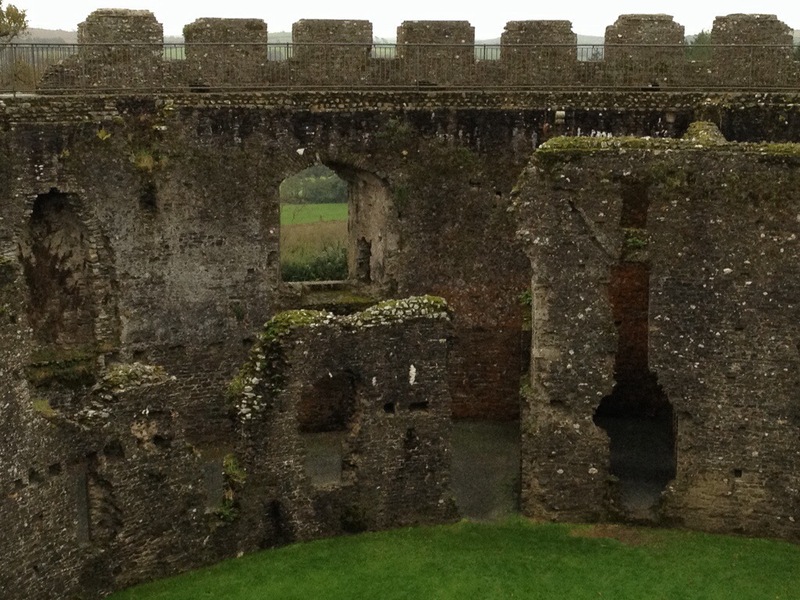 A quaint castle I rather liked was Restormal Castle in the village of Lostwithiel, near Fowey. Another ruin, Restormal is almost perfectly round, and very neat and compact. It seemed to be built more for status and show than defence, but was nonetheless very cute. 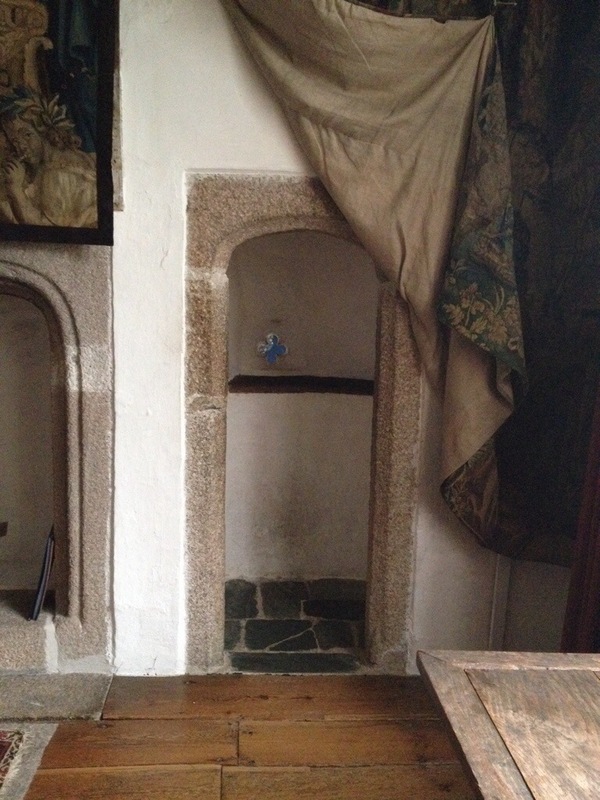 Weird quirks include a ‘secret’ staircase within the wall and several deep pits that might have been tower foundations or storage cellars… The experts aren’t sure. While staying in St Dominick, we visited the Tudor Cotehele, an old stone manor house with an impressive collection of old tapestries. We happily explored the rambling old house, which has a lovely old main hall with weapons and armour arrayed on the walls (along with the stuffed head of a baby albatross), and a peephole overlooking it from one of the other rooms. The house had multiple old stone staircases, and a maze-like layout in the style of very old houses. I love the juxtaposition of stone and wood and tapestries. The Cotehele estate also includes the old quayside, where limestone and coal were imported and smelted to produce lime, and a working mill. The latter was the highlight for me — I love seeing how such things worked, back in the day. Water wheels make such wonderfully clean energy. Totally ingenious. Alongside the mill, which was grinding wheat into flour while we watched, are other displays — such as a blacksmith, wheelwright, potter, furniture maker… Overall, we had a lovely day at Cotehele. 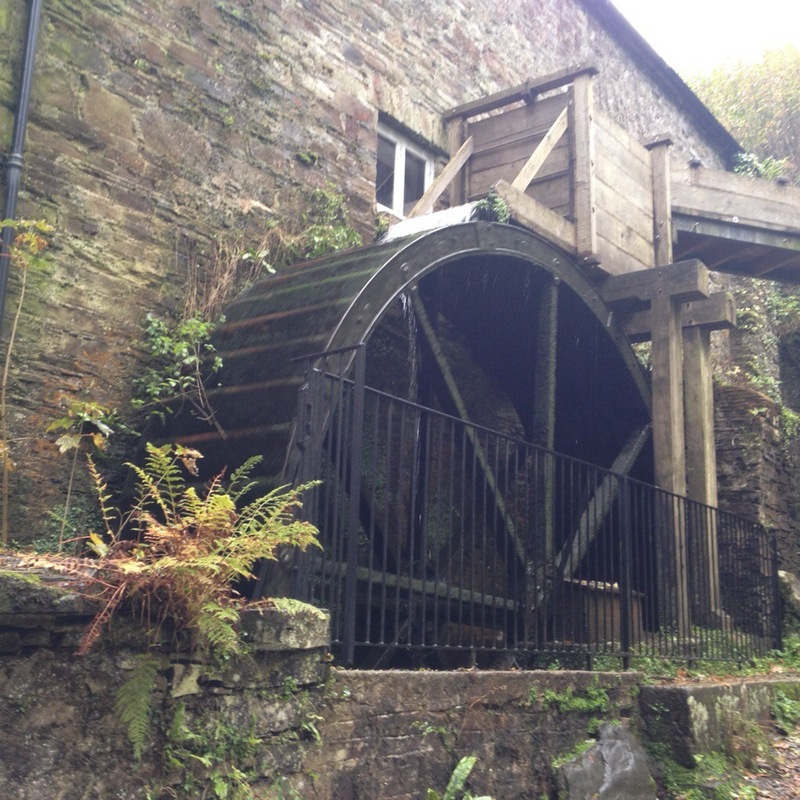 Here’s that fabulous waterwheel. This wraps up posts about Cornish subjects, with one more to come from Devon, about Exeter, which I thought a lovely city. Please excuse my brevity; iPhone blogging is losing its appeal… Really looking forward to getting back to a computer. Thanks for bearing with me! Tomorrow, I head to Brighton for the start of the World Fantasy Convention. Time to get my writing brain back into gear! I’ve loved reading about your adventures and seeing the photos you’ve taken, Ellen. Those cream teas sound especially heavenly! And kudos to you for managing all of these posts on your iPhone!